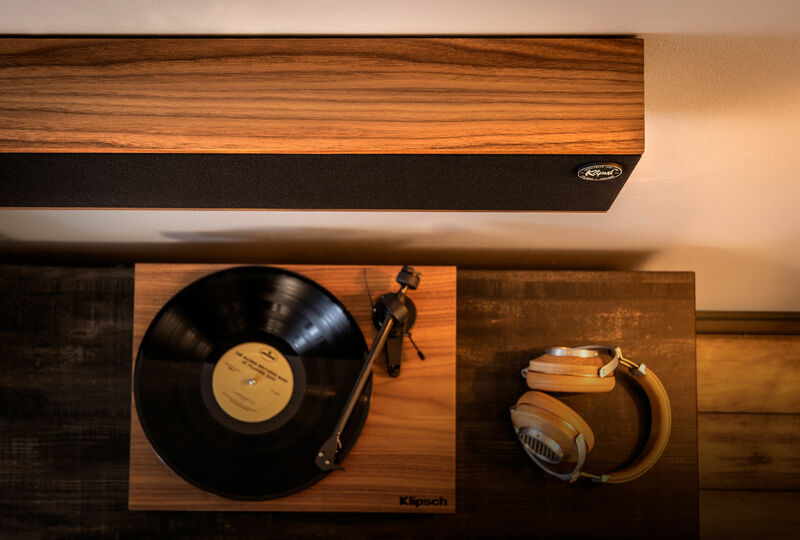 You’ve spent the money on a killer new audio system, which includes top of the line Klipsch speakers, a great receiver, and quality source components. You’ve even chosen high performance speaker cables and wires. But how do you ensure the room itself is maximizing the overall experience? The fourth leg of the stool, from audio source to experience, lies between the speaker and your ears. Here are some items for consideration, taking a top-down approach. Starting with the ceiling, consider adding bass traps to the corners. Bass traps are pyramid shaped boxes made of acoustically absorptive material. Low frequency air often builds in corners, where multiple boundaries meet. Bass traps can go anywhere in a room where there’s potential for build-up, but start with the upper corners of your room. While this seems like a fairly obvious statement, from an acoustic standpoint, setting up your speakers properly means aiming them correctly so the sound has a direct path from the speaker driver to the ear. The primary goal of acoustically treating a room is to reduce sound reflections. Your walls, by virtue of being smooth, flat, and firm, will likely be reflective. Covering your walls in acoustic treatment will absorb sound waves rather than reflect them, improving your room’s acoustic performance. Furniture may act as a reflective surface for sound waves. Make sure your main seating area is in the sweet spot for the best possible stereo imaging. Unless you’re building an anechoic chamber, you’re going to get some bass reflection in your room. This reflection will likely result in a standing wave somewhere in your room; a spot where two sound waves meet and cancel each other out. You can usually find these spots by simply playing a deep bass tone and walking around the room. Eliminating them entirely is difficult, but eliminating them in the primary listening position is key. Finally, at the base of the room is the flooring. Hardwood or tile is very reflective. Reduce unwanted reflections by using an area rug. Carpet is going to help prevent those reflective sounds from hitting your ear.